(22 January 2018) – Researchers have come up with a list of ten essentials for action-oriented research that will accelerate learning about how to achieve transformations to sustainability. The first three essentials are a focus on transformations to low-carbon, resilient living; on solution processes and on ‘how to’ practical knowledge. 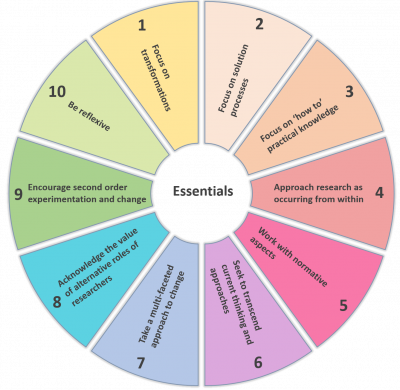 The ten essentials for guiding action-oriented transformation and energy research are framed in relation to second-order science. Such research begins from the assumption that researchers are part of, and not separate from, the systems or issues they seek to understand. Joint application of the essentials would create highly adaptive, reflexive, collaborative and impact-oriented research able to enhance capacity to respond to the climate challenge, say the researchers. The list of ten essentials is freely available in the journal of Energy Research and Social Science.